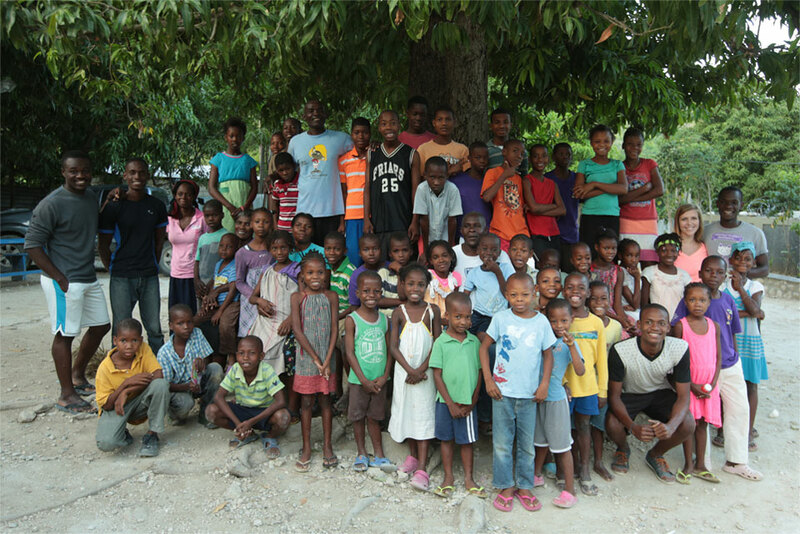 There are 54 unique, beautiful, and amazing children and teenagers that live at the Fond Blanc orphanage. This orphanage is their home, their safe place and their sanctuary. Here they go to school, church, and live their lives. These children are a family. Most of the children who live at the orphanage are not “true” orphans, meaning they have at least one living parent. Nor are they part of the government run adoption program. The Fond Blanc Orphanage operates like a girls or boys home, providing for their basic needs and education — ultimately giving them an opportunity for a better future. So while these children are not orphans in the traditional sense, they are economic orphans. Their parents or guardians are unable to provide for their basic needs. And while every child has a different story of how he or she ended up at the orphanage, each story has a common thread — their families wanted them to have a chance at a better life. Pastor started to build the Fond Blanc Orphanage almost a decade ago. He oversaw a number of churches and congregations in other communities throughout Haiti. Within these communities, he met many families who could not care for their children. Resources in Haiti are scarce and all too often parents cannot feed or educate their children. He began to open up his house to needy children and soon after began construction on an orphanage in Port-au-Prince and Fond Blanc. After the earthquake, many children living at the Port-au-Prince orphanage moved to the Fond Blanc Orphanage and now call it home. Today, space is a precious commodity at the Fond Blanc Orphanage. The land supports a church, orphanage, staff-housing and missionary dormitory. On occasion, Pastor Jean Claude allows new children to live at the Fond Blanc Orphanage. And from time to time, children leave the orphanage to return to life with their families. But for the time they call the Fond Blanc Orphanage their home, the children live as one community, providing friendship and support for each other as they grow up outside their family units. It’s not always an easy life. And we’re working hard to make sure these children grow up with every opportunity to succeed. Want to know what life is really like for a child at the Fond Blanc Orphanage? Visit our DAY IN THE LIFE section to learn more.